Two leading independent testing authorities, Virus Bulletin and AV-Comparatives, recently published their tests of anti-spam protection. 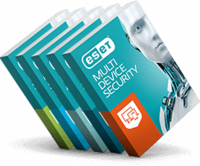 The highest-rated security solutions in both tests were ESET products. ESET Mail Security for Microsoft Exchange Server was tested in the latest VBSpam Test, ESET Smart Security in AV-Comparatives Anti-Spam Test. „Spam protection is a central part of the multilayered approach ESET takes to next generation security and we invest considerable effort into keeping our clients safe. We also work hard to keep false positives to a minimum, which is a difficult task in combination with robust spam filtering. Therefore we are happy that the results of these tests confirm that we are able to achieve exactly that, ” comments Palo Luka, Chief Technology Officer at ESET. Virus Bulletin tested 18 full business email security solutions. ESET Mail Security for Microsoft Exchange Server reached a spam catch rate of 99.999% on the 177 thousand spam emails and recorded the third consecutive VBSpam+ Award for ESET. AV-Comparatives tested 12 leading consumer security solutions, as suggested by the German computer magazine PC Magazin, using native antispam capabilities of Microsoft Outlook as a benchmark. On a set of nearly 130 thousand spam emails ESET Smart Security reached the highest spam catch rate of 99,96% and won the first place in the Anti-Spam Test. “We found the integration of ESET Smart Security into Outlook to be very simple but effective, allowing for the easy marking of mails or addresses as spam. The program blocked 99.96% of unwanted messages in our spam filtering test, the highest score of any product tested,” reads the AV-Comparatives’ report.